DeadpoolxColossus. Please tell me I'm not the only one that loves it! DON'T HATE ME GUYS . . . BUT . . . 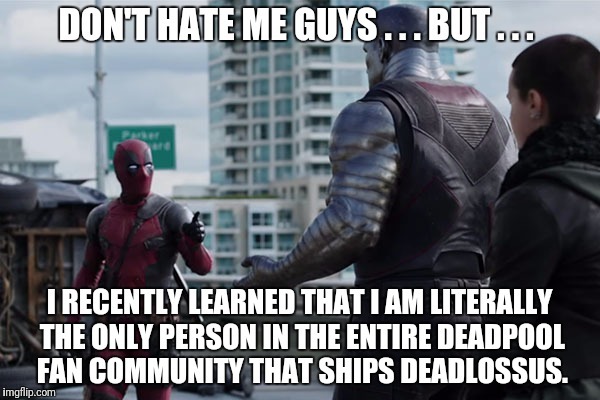 I RECENTLY LEARNED THAT I AM LITERALLY THE ONLY PERSON IN THE ENTIRE DEADPOOL FAN COMMUNITY THAT SHIPS DEADLOSSUS.